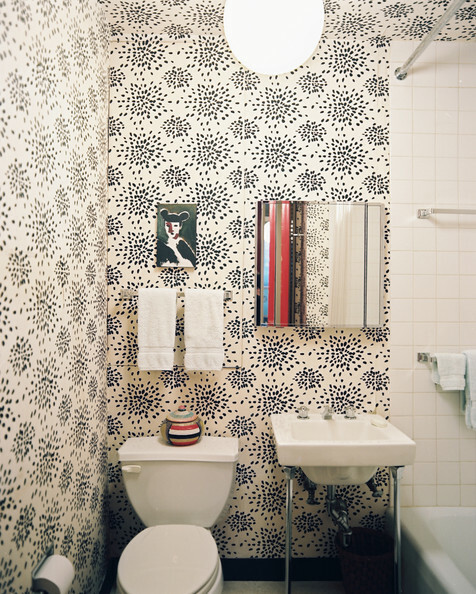 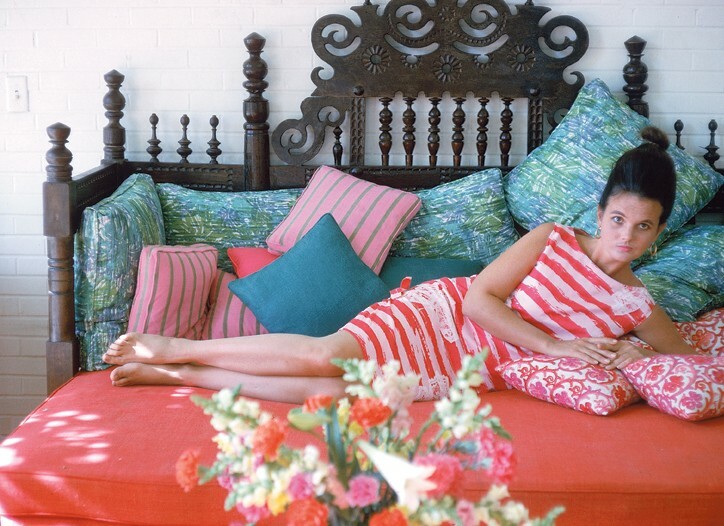 Bold bright patterns and colors were her trademark, and permeate the design world. 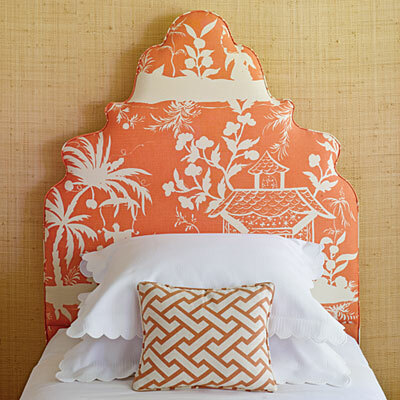 Her signature “Palm Beach Style” can be captured in tropical prints great for reupholstering a headboard. 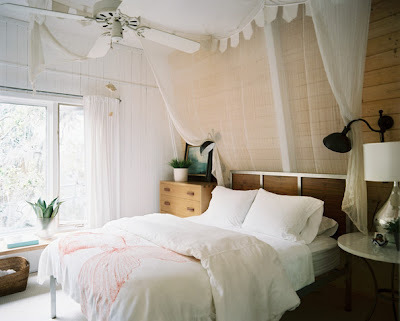 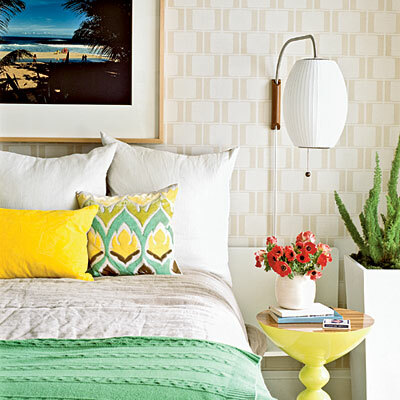 Another way to get a bright and cheerful room, use lots of white paint then layer with colorful accessories and artwork. 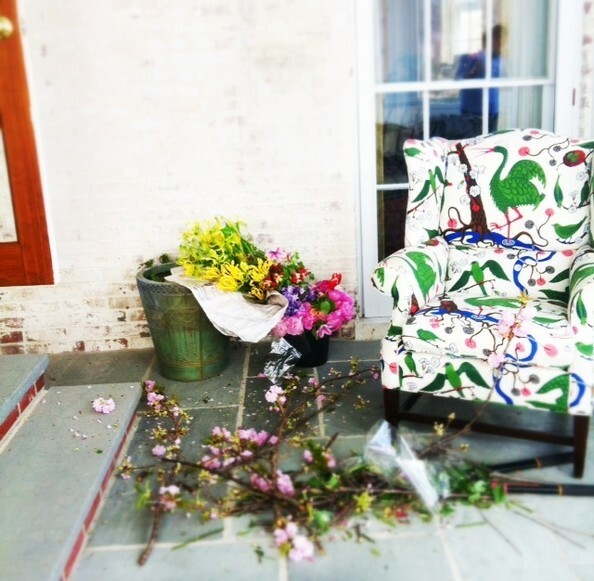 And the outdoor patio is must! 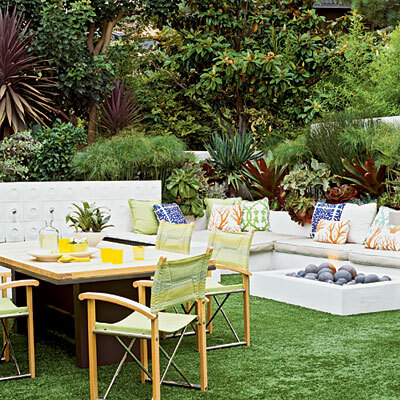 Patterned pillows with a fire pit and grass… it doesn’t get more Palm Beach than this.